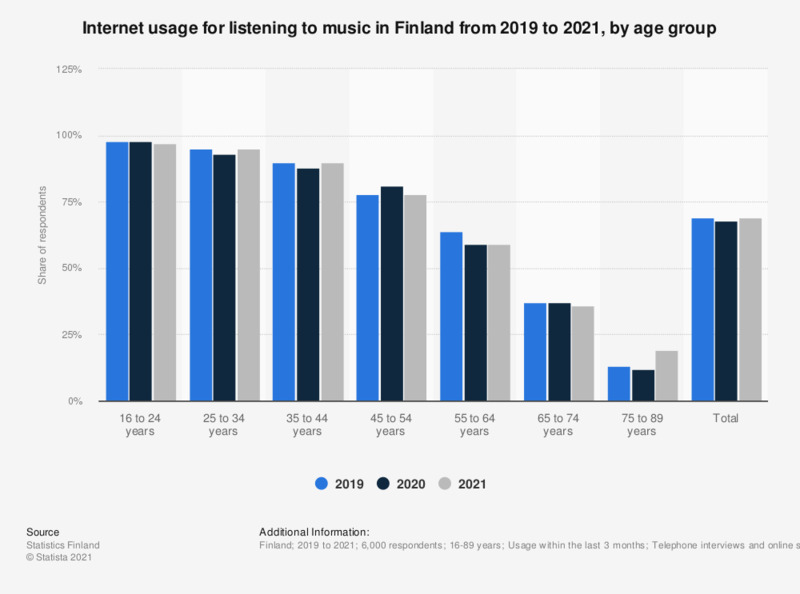 This statistic shows the share of people using the internet for listening to music or downloading music in Finland from 2016 to 2018, broken down by age group. During the survey period, music listening increased in many age groups. As of 2018, 96 percent of individuals aged 16 to 24 listened to music on the internet. Some of the figures have been taken from several publications.